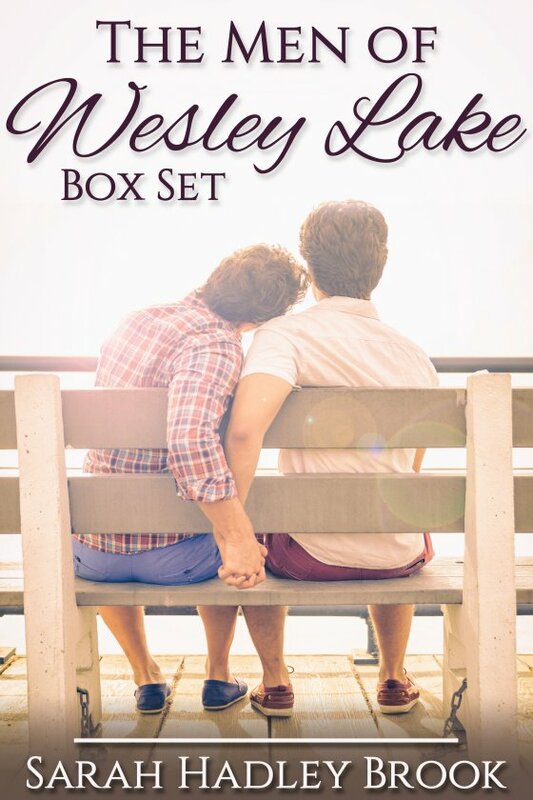 The Men of Wesley Lake Box Set by Sarah Hadley Brook is now available! A Love to Remember Graham Hayes decided long ago he’d never be in a relationship. It was better to stay single than to fall in love only to be left alone, which he was certain would happen to him. He’d seen Alzheimer’s ravage his family members all his life, leaving their loved ones to deal with the fallout. Some of them stayed, but some didn’t. Graham isn’t going to risk it. Everything He Wants Graham’s best friend Marc Byrne has been in a self-imposed dry spell for the past six months, reevaluating his life. Tired of the bar scene, he wants something true and lasting like Graham found with Sam. He wants to find Mr. Right. Aiden Wright is blown away by Marc and wants to get to know him better, but he keeps running and Aiden can’t figure out why. The attraction between them is intense and Aiden is sure he can give Marc what he wants, if he’ll just take a chance.